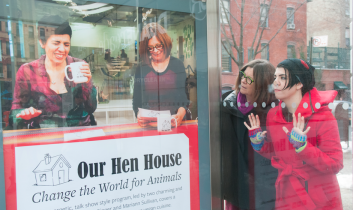 Welcome to the 290th episode of Our Hen House, a place to find our way to change the world for animals. 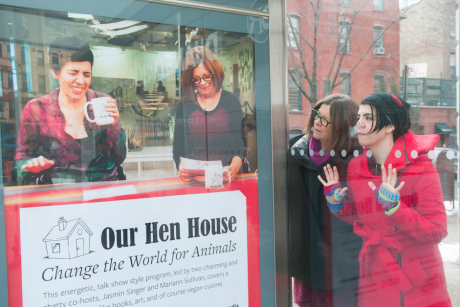 Today we continue to feature the informational chats — otherwise known as “Ramblings” — that we have at the start of each episode of the Our Hen House TV show, a co-production with Brooklyn Independent Media. This episode marks the fourth of six consecutive weekly summer specials! 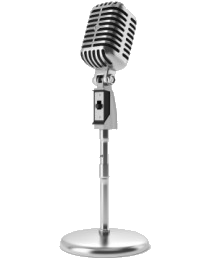 In this podcast episode, we’ll feature our Ramblings from Episodes 16 through 20 of the TV show, where we discuss bullying; companion animals to the homeless; undercover investigations; animals rescued from research labs; wild animals kept in captivity; and more. “You are not Atlas carrying the world on your shoulder. It is good to remember that the planet is carrying you.” ~Vandana Shiva.